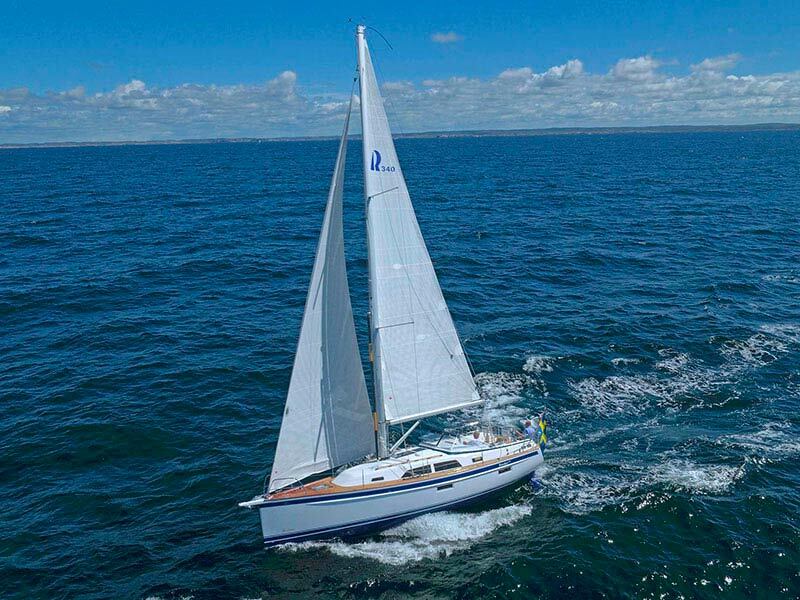 The all-new Hallberg-Rassy 340 will have world premiere at Scandinavia’s largest sailboat show, Open Yard in Ellös on Orust, West Sweden, 25-27 August 2017. In this article we can show you the first photos. 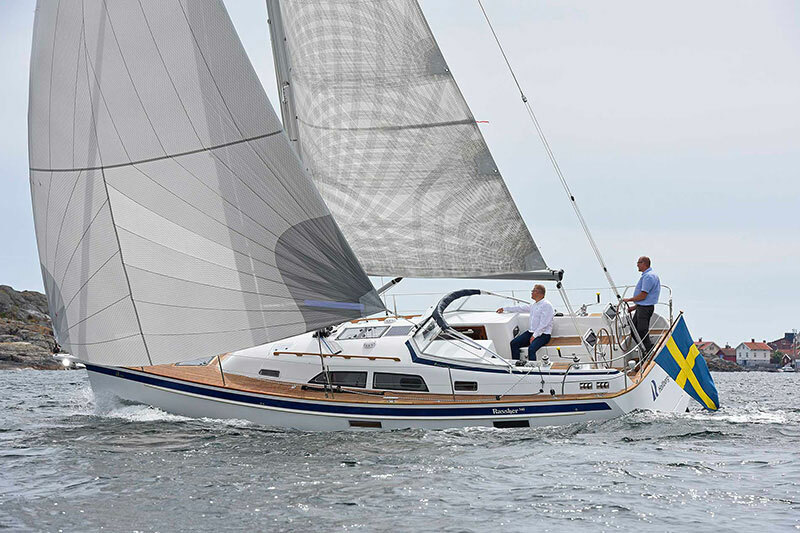 For the first time at Hallberg-Rassy, optional twin steering wheels are offered. 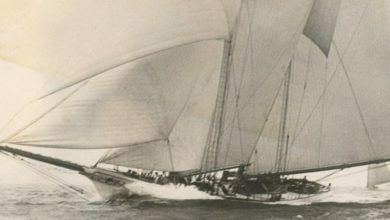 The standard version is with a tiller. In both cases, the deep cockpit gives the helmsman good side protection. The design gives an easy passage through the cockpit. As a Hallberg-Rassy tradition, the cockpit is very well-protected. The cockpit length is a generous 2.83 m, which is no less than 42 cm longer than the predecessor 342. The rudder arrangement provides an easily controlled boat during all sailing conditions, especially in tough weather. 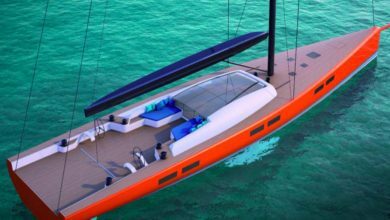 Because of the reduced rudder surface, compared to a single rudder solution, the rudder loads will also decrease which will increase the safety factor. 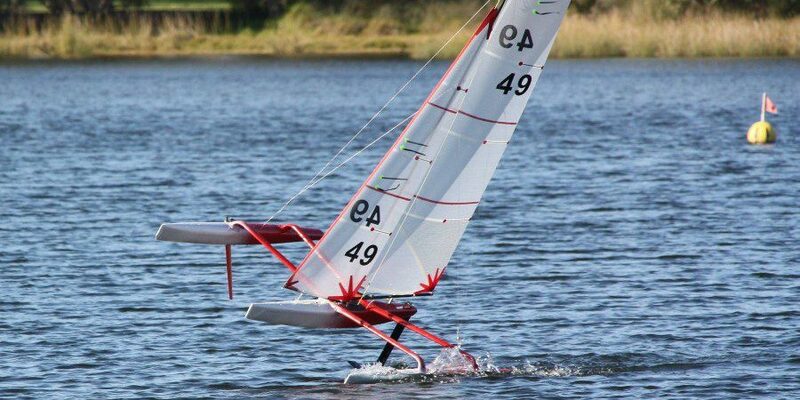 Each rudder has dual self-adjusting rudder bearings that provides an easy to steer rudder construction in all conditions. 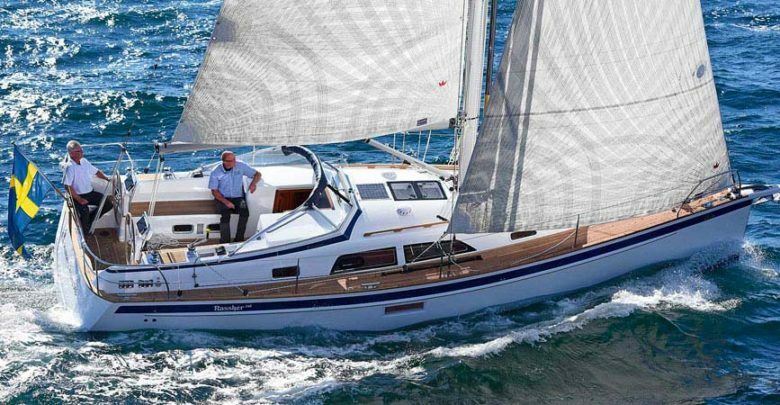 The new Hallberg-Rassy 340 replaces the 342, that is built in 328 units during 13 years. By default there is a fixed platform aft of the helmsman and a step down to the water. For the first time in this size of boat, Hallberg-Rassy offers the possibility to order a folding bathing platform. 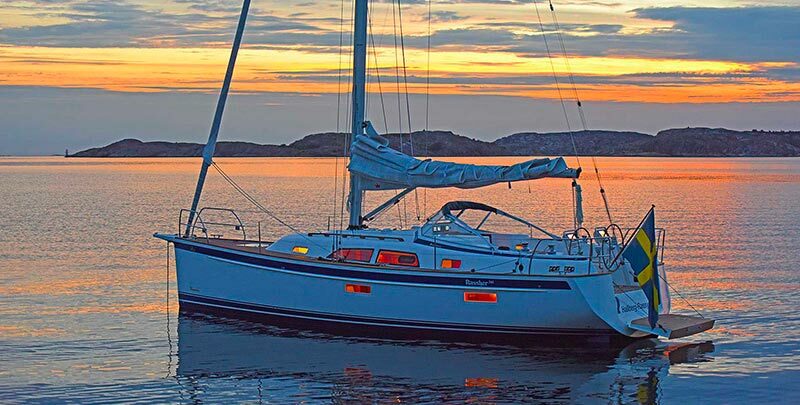 The head sail furler is an under-deck fitted Furlex TD. Cap shrouds and lowers are divided with separated chainplates. That gives easy passage on deck, good set up for sheeting the head sail and to create a wide steady support for the mast. A backstay tensioner with a powerful purchase 1:32 comes as standard. 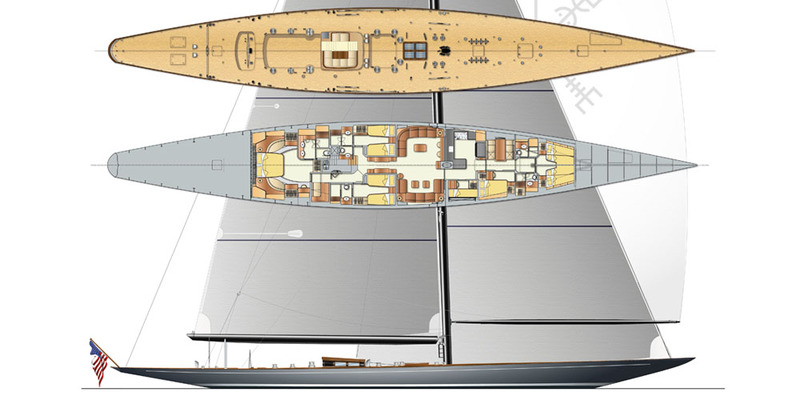 The saloon of the Hallberg-Rassy 340 gives particularly good width and volume to the interior. The mast position is out of the way right aft of the main bulkhead. Through the special layout, the galley also contributes to an unusually generous airiness in the saloon. The forward cabin is spacious and is regarded as the owner’s cabin. The length of the double berth is 2.04 m long, 1.98 m in the aft end and a 62 cm in the foot end. 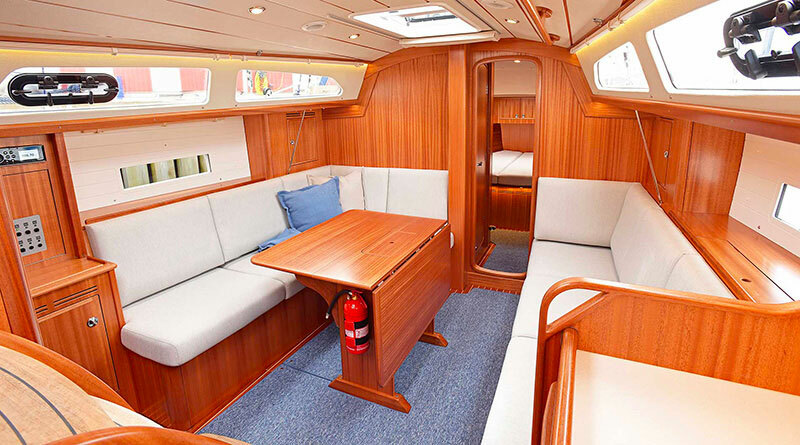 The aft cabin is also spacious with a generous double berth, 173 cm in the head end and a huge 142 cm in the foot end. 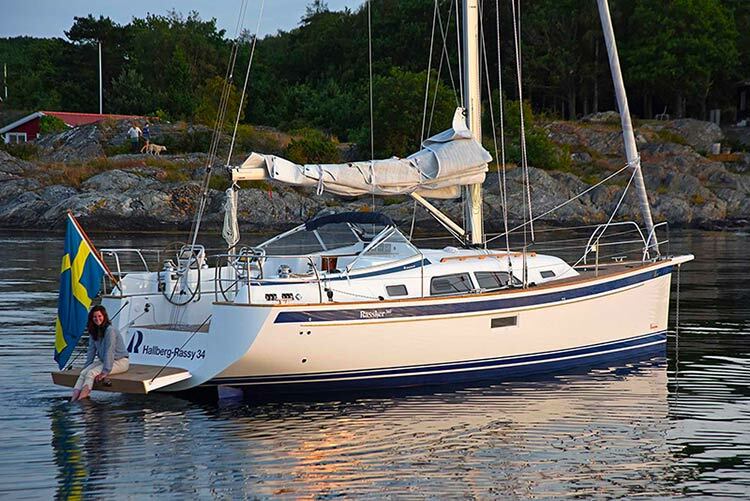 You can discover more on Hallberg-Rassy Official website.